RELIABLE SOURCES ADVISED THAT WE HAVE TAKEN PLACE (IN THIS AUGUST IN Menzingen), an extraordinary chapter of the SSPX who treated MAINLY ABOUT Doctrinal Preamble. In late July we received information about it from a source located in North America, but we refrained from publishing for lack of confirmations. Today we have received from Eastern Europe, new information completely consistent with the former. They hardly even try to hide it these days. They want a deal with Rome, and everything they do is calculated to bring them closer to -- or at least no further away from -- this goal. That is why they condemned the recent Consecration of Bp. Faure, committing themselves to doing NO SUCH THING in the future. They're committed to a deal, even if it results in the suicide of the SSPX. Like Fr. Pfluger said, "This train leaves for Rome. All who want to get off will get off". We'll see how many will. It appears that decision is imminent. Good point. I doubt that many sspxers will get off the train. I think Fr. Pfluger has probably pretty accurately taken the pulse of the sspx faithful. They don't care one way or the other. Give them the Latin Mass, and most of the accompanying ceremonial aspects of "traditional" Catholicism, and they're satisfied. Our independent priest got the same "Doctrinal Preamble". After telling Rome what he thought of it, http://www.saintspeterandpaulrcm.com/OPEN%20LETTERS/WATERS_SULLIVAN_CHAPUT_EXCHANGE/15_Waters_Letter_to_Muller_CDF_2-11-15_WATERMARK.pdf they "excommunicated" him and shortly after "laicized" him without due process. +Williamson likes these letters, he said: "Excellent! but unanswerable" Rome is eager to start the new 1962 missal and they have to bully the independent chapels so the "conservatives" won't even think of going to those Masses after the changes come. They are closing their back door, because without permission, they don't want it. It is impossible for the Argentinian SSPX not have signed the preamble. Even that would not be sufficient without +Fellay's signature. Wasn't it Lenin who said, "We will sell them the rope with which they will hang themselves"? Thanks M.A. for the explanation re: the Doctrinal Preamble and what it entails. This is the noose of which Bishop Fellay & Company so eagerly wish to partake. So they sow, so shall they reap. I'm sorry, but this is TRADITIONAL CATHOLIC DOCTRINE. There's nothing here not to sign. Do you guys even know what "religious submission" means? Catholics are absolutely required to give religious submission to all teachings of the authentic Magisterium, whether infallible or not. 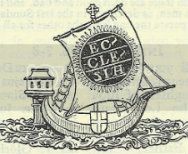 Despite the comparative inadequacy of the treatment they give to the papal encyclicals, however, all the theological works dealing with this subject make it perfectly clear that all Catholics are bound seriously in conscience to accept the teaching contained in these documents with a true internal religious assent. It is the common teaching of the theologians who have written on this subject that the internal assent due to a great number of the doctrines proposed in the papal encyclicals is something distinct from and inferior to both the act of divine Catholic faith and the act most frequently designated as fides ecclesiastica. Most theologians hold that, while there is nothing to prevent an infallible definition of truth contained in or connected with the deposit of revelation in papal encyclicals, and while de facto it is quite probable that at least some infallible pronouncements have been made in this way, the Holy Father has not chosen to use the complete plenitude of his apostolic doctrinal authority in presenting most of the truths contained in his encyclical letters. Nevertheless they all insist that even in this portion of his ordinary magisterium the Holy Father has the right to demand, and actually has demanded, a definite and unswerving internal assent to his teaching from all Catholics. This authority (of the papal encyclicals) is undoubtedly great. It is, in a sense, sovereign. It is the teaching of the supreme pastor and teacher of the Church. Hence the faithful have a strict obligation to receive this teaching with an infinite respect. A man must not be content simply not to contradict it openly and in a more or less scandalous fashion. An internal mental assent is demanded. It should be received as the teaching sovereignly authorized within the Church. Ultimately, however, this assent is not the same as the one demanded in the formal act of faith. Strictly speaking, it is possible that this teaching (proposed in the encyclical letter) is subject to error. There are a thousand reasons to believe that it is not. It has probably never been (erroneous), and it is normally certain that it will never be. But, absolutely speaking, it could be, because God does not guarantee it as He guarantees the teaching formulated by way of definition’. Lercher teaches that the internal assent due to these pronouncements cannot be called certain according to the strictest philosophical meaning of the term. The assent given to such propositions is interpretative condicionatus, including the tacit condition that the teaching is accepted as true “unless the Church should at some time peremptorially define otherwise or unless the decision should be discovered to be erroneous.” Lyons and Phillips use the same approach in describing the assent Catholics are in conscience bound to give to the Church’s non-infallible teachings. Fr. Yves de la Brière speaks of the “submission and hierarchical obedience” due to these pronouncements. Franzelin holds that the Roman Pontiff can command all Catholics to assent to a given proposition (either directly or by condemning the contradictory statement), for either one of two different reasons. First the Holy Father can intend to define this proposition infallibly as true or as de fide. Again he can will merely to look after the security of Catholic doctrine. The magisterium of the Church has been equipped with help from God by reason of which the first sort of teaching gives infallible truth, while the second affords infallible security. Employing the plentitude of its power, the teaching Church operates as the auctoritas infallibilitatis. Working, not to define, but merely to take those steps it deems necessary to safeguard the faith, it is the auctoritas providentiae doctrinalis. To this auctoritas providentiae doctrinalis and to the teachings it sets forth, the faithful owe the obedience of respectful silence and of an internal mental assent according to which the proposition thus presented is accepted, not as infallibly true, but as safe, as guaranteed by that authority which is divinely commissioned to care for the Christian faith. Despite the divergent views about the existence of the infallible pontifical teaching in the encyclical letters, there is one point on which all theologians are manifestly in agreement. They are all convinced that all Catholics are bound in conscience to give a definite internal religious assent to those doctrines which the Holy Father teaches when he speaks to the universal Church of God on earth without employing his God-given charism of infallibility. Thus, prescinding from the question as to whether any individual encyclical or group of encyclicals may be said to contain specifically infallible teaching, all theologians are in agreement that this religious assent must be accorded the teachings which the Sovereign Pontiff includes in these documents. This assent is due, as Lercher has noted, until the Church might choose to modify the teaching previously presented or until proportionately serious reasons for abandoning the non-infallible teaching contained in a pontifical document might appear. It goes without saying that any reason which would justify the relinquishing of a position taken in a pontifical statement would have to be very serious indeed. Religious submission means a grave respect and presumption of truth in receiving any authentic teaching of the Holy Father to the Universal Church (here the context is Encyclicals but the docs of V2 clearly also fall into this category). This does not mean an absolute guarantee of truth when proportionately grave reasons arise that would warrant rejecting a teaching (and the contradiction of previous Magisterium would clearly suffice). Please read the critique closely that was sent by Fr. Waters to Archbishop Di Noia at the CDF. The submission on the “mind and will” or as Lumen Gentium calls it, submission of the “soul” as defined by the Cardinal Ratzinger as head of the CDF is of a different order, an entirely different kind from which theologians formerly understood the term including Fr. Fenton. It is no longer what theologians once called a “prudent” or “conditional” submission but an unconditional submission of the soul which can only be given to God alone. Fr. Waters’ last letter to Cardinal Muller also addressed the difference between the religious submission of Pius XII in Humani Generis and that demanded in the 1989 Profession of Faith that was improperly equated by Archbishop Pozzo. There is a reason that the 1989 Profession of Faith with its non-dogmatic third paragraph is the only absolutely unconditional non-negotiable demand for regularizing the SSPX. It is the means to impose the new religion with its canonical penalities. I DID read the response from Father Waters. Father Waters is off base. Referring to the submission being "internal" and of the "mind and will" simply distinguishes this type of submission from mere external lip service. Hence the faithful have a strict obligation to receive this teaching with an infinite respect. A man must not be content simply not to contradict it openly and in a more or less scandalous fashion. An internal mental assent is demanded. This is nothing other than Traditional Catholic teaching. In the discussions with Bishop Fellay, Rome acknowledges that the SSPX has a right to RESPECTFULLY question the teachings of Vatican II while maintaining the "religious submission". Put it in context - it would be scandalous to swear such a profession at the request of the Conciliarists. People should stop berating R&Rs to "accept their pope." That's arguing to win points, not save tradition. If I'd been a priest who received that letter I'd have sent the Anti-Modernist Oath, "You sign that, and then I'll consider signing your thing." Archbishop Lefebvre: Firstly, there is the Credo which poses no problems. The Credo has remained intact. And, so the first and second sections raise no difficulties either. They are well-known things from a theological point of view. It is the third section which is very bad. What it means in practice is lining up on what the bishops of the world today think. In the preamble, besides, it is clearly indicated that this third section has been added because of the spirit of the Council. It refers to the Council and the so-called Magisterium of today, which, of course, is the Magisterium of the followers of the Council. To get rid of the error, they should have added, "...insofar as this Magisterium is in full conformity with Tradition." People will have to put the link together -- without the carriage return(s). Because when you post it as-is, it destroys the formatting of the site.